Happily settled into a comfortable retirement, Major Pettigrew’s cozy world is shaken up, first by the sudden death of his brother and then by his growing attraction to a local shopkeeper. Because the recently widowed Mrs Ari is of Pakistani descent and worse, is a tradesperson, the small English village where they live is scandalized. Major Pettigrew soon realizes that some things are worth fighting for, despite cultural and family obstacles. 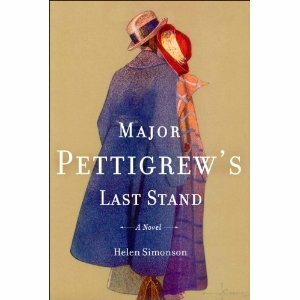 Major Pettigrew’s Last Stand by Helen Simonson is a charming, witty look at love, set in a seemingly idyllic country village. The humor here is the famously dry wit that has been honed to perfection by the English. Sharply observed issues of race, age and class, of the pull between tradition and modernity, and of the obligations of family create a lively and vivid story that you won’t soon forget.